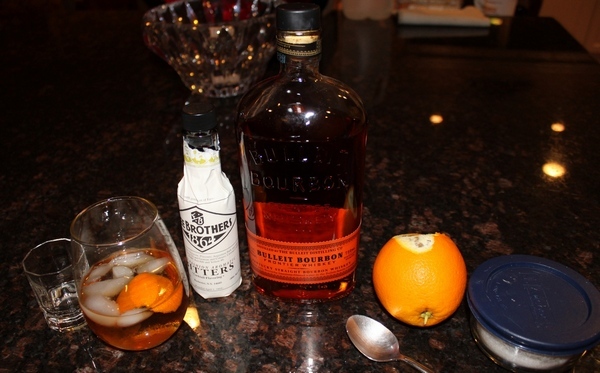 Last week my friend and co-worker David Locke who is a foodie and connoisseur introduced me to an old school cocktail called the “Old Fashioned”. I quickly fell in love with this simple and tasty drink. Tonight I went out to get the ingredients to make myself one and while not quite as tasty as the one I had for the first time over at Beechwood, it still didn’t disappoint. In doing some research there are several tiny variations on how to make it. You can get some history on the drink over at Wikipedia.